Are you a person who’s beginning to notice that your memory, attention span and ability to recall information is starting to slip? We’ve all been there: You’re at the store to pick up a few items when all of a sudden, your memory fades. “What was I originally in here for?” runs through your mind as you frantically try to remember. Although aging can definitely have its downsides, there are certain supplements that can make improving our cognition that much easier. If you’re wondering how to dramatically improve your mental abilities and fight back against the hands of time, keep reading! Cognitive Decline: Why Does It Happen? Most of us can remember a time when keeping track of names, dates, important events, and to-do lists was a breeze. Need a pen and paper to jot down notes? No way, my mind is like a vault! But as the maturing process begins to rear its ugly head, these tasks that were once easy to perform become burdensome and leave us feeling embarrassed and ashamed of ourselves. Although it may be difficult to admit, have you experienced any of these side effects in recent years? The fortunate news is that certain scientific literature reveals that these issues do not have to become something that we must face as each birthday passes us. In fact, many findings reveal that the ability to retain historic information, teach ourselves new skills, improve our attention span and have healthy cognitive function do not get impacted by age. Instead, researchers find that individuals have difficulty forming new memories and retaining them for an extended period of time. However, long-term memories, such as those made in an individual’s early adult life and childhood, can be held in the brain for decades at a time with accurate recall. Luckily for us, there are supplements and dietary choices that can improve our mental faculties and make our brain operate more efficiently. 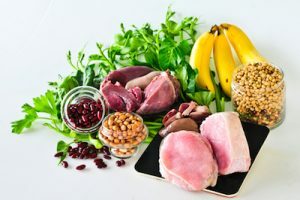 Those who intake a sufficient amount of B vitamins, as one example, have shown tremendous improvement in mental faculties that surpassed previous expectations. Increasing the amount of these vitamins in one’s diet, either through supplementation or food choices, can slow down the process of maturing and can keep the brain feeling healthy, young, and active in later years. To be specific, vitamin B3—also known as nicotinamide riboside—has a positive impact on certain enzymes contained in our body’s cellular makeup. Vitamin B3 elevates the levels of these enzymes and assists in repairing DNA, promoting healthy muscle tissue, regulating circulation and restoring the entire system when it has undergone damage. Readers may also find that combining B12 and B3 improves their ability to think logically and their memory recall in both the short- and long-term future. Keep in mind that this is merely a short list of associated problems and the side effects may be different for each individual. By supplementing this particular vitamin, users may experience an improved ability to perform at a higher level in their mental faculties. A recent treatment for patients with dementia are injections of B12 as a means of thwarting off their symptoms and keeping their neurological health sharp and effective as they age.